The Canadian sci-fi author, blogger and activist on how our present influences how we write about the future. 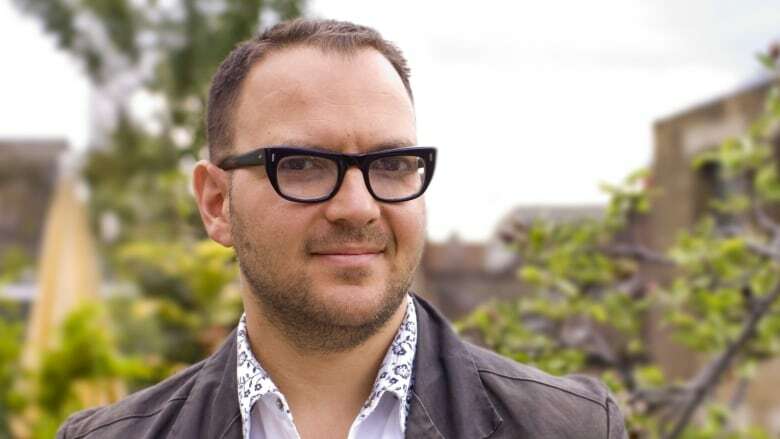 Cory Doctorow is one of Canada's most celebrated sci-fi novelists. The author, activist and editor of the blog Boing Boing is known for his "post-cyberpunk" speculative fiction about the societal impact of present and future technology, government and culture. His latest book, Radicalized, is a timely collection of four sci-fi novellas that looks at immigration, the dangers of proprietary technology and why classic superhero archetypes like Superman or Batman aren't a great fit for today's world. 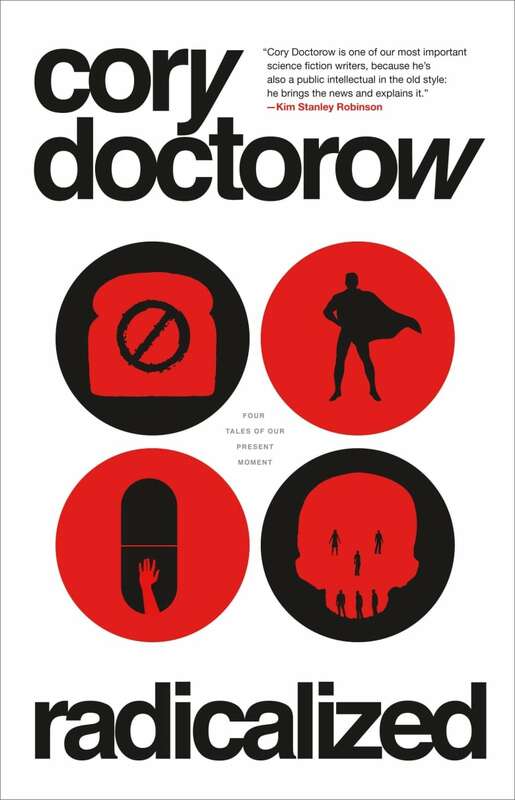 Doctorow spoke with CBC Books about writing Radicalized, staying optimistic in the modern world and the future of speculative fiction. Why did you decide to write the novellas that became Radicalized? "I wrote each of these four stories not knowing what they were for or what was going to happen with them. [The four stories in Radicalized] were all kind of therapeutic, dealing with the stress and anxiety of being alive in the Trump era." When you're writing fiction in 2019, is it hard to not be cynical or jaded? "Being cynical or jaded is another way of being pessimistic. I decided a few years ago to reorient the way I see the world — but not around pessimism or optimism. Instead, I like to think human beings have agency in the world and that the future changes based on what we do. "There are stories in this book that have unhappy endings. But there are also stories of people who, when confronted with impossible circumstances, without being able to see a clear path from A to Z, can nevertheless see a path from A to B. They take it on faith that if can get as high as B, that one might be able to see a way to get up to C and D — and so on and so forth. It's a very 21st century way of thinking: a networked, fluid and improvisational way of trying to... climb up that gradient towards a better world — and not to follow a set course." How do you see the role of speculative fiction evolving? "Orwell, Huxley and Shelley were not engaged in prediction, they were engaged in allegory. They were deliberately intervening in the world, not by way of making predictions but instead by giving warning. They were asking people to, as the future unrolls, try to contemplate the lived experience of these fictional characters that we've spent some time with. If you're George Orwell writing in 1947 about mass surveillance, you're living in this moment after the Second World War and there's all this new technology coming home. Orwell, Huxley and Shelley were not engaged in prediction, they were engaged in allegory. "What Orwell did beautifully was put a lot of flesh onto the abstract bones of the surveillance debate. In the years to come, whenever surveillance is proposed, how we now say it isn't a good idea is to say it would be 'Orwellian.' That isn't a magic charm. It didn't ward off all surveillance forever, but it was a huge contribution to the debate. "On the other hand, I think that there were a ton of writers who fancy themselves as predictors — someone like H.G. Wells for example. Certainly during the so-called 'Golden Age' of science fiction, which had a lot of American triumphalism that was meant to be prediction as well. And I think those people were kidding themselves. It's the Texas sharpshooter fallacy — shooting the side of the barn with a shotgun and then drawing a target where the pellets landed. They made a lot of predictions and it would have been amazing if none of them came true. "I don't think Isaac Asimov had precognition... he is someone reflecting back his own anxieties and aspirations about the present day, not from an enormous insight into the future. The present day is like a standing wave with a path that's becoming a future, so influencing the present day is a pretty surefire bet for influencing the future. That doesn't make you a predictor. Gene Roddenberry didn't predict that engineers would make flip phones that look like Star Trek communicators, he inspired them to make them." Why did you decide to write about what is essentially a Superman analogue? The novella Model Minority addresses this question about the contingency of privilege. I'm a white-passing Jewish person. When my family came to Canada, they were racialized. There are a lot of people of my generation who think of themselves as white, or at least they did before Charlottesville. They are now trying to figure out what side they are on. [Superheroes] can only get so far punching racism before you have to address the actual structural problems. "You're seeing things like Trump's political adviser Stephen Miller, who's putting kids in cages — and Miller's uncle, who's a child of Holocaust survivors, saying this is a shame on our family, who were themselves refugees alive today because no one did that to them. Jerry Siegel and Joe Schuster (the creators of comic book hero Superman) were Jews, one of them was a Canadian Jew. They watching the Holocaust from across the ocean and writing these revenge fantasies in which someone could just go and punch out Nazism. "That's Superman's origin story. [But] revenge stories, when you play them to their full extent, reveal themselves to be somewhat thin. You only get so far punching racism before you have to address the actual structural problem. It's not a matter of a lone person doing a bad thing and someone else standing up to them and doing a good thing. These broader social changes, like truth and reconciliation, are the only way through these big, tough problems. "I wanted to address the simplicity of Superman and also the moral suspectness of Batman in light of the current age. The idea of Batman, a billionaire who operates with impunity as a vigilante and is heavily armed because he's a military contractor — I think that plays really differently in 2019." What makes for great speculative fiction in today's world? "I can only speak to the fiction I'm interested in, which is this techno-realism where we're focusing on getting the technology right. What I'm most interested in is stuff that contrasts the lived experience of technology based on who controls it. When you think about the terrible internet-connected gadgets of today, if you can shift the locus of control to the people who are using them, they become incredibly feature-rich devices. "I would love a toaster that could be very smart about the bread that I put in it and adjust itself, but only if it could happen in a way that was about giving me control over my life, as opposed to giving someone else more control over me. That's kind of a utopian vision. I like to read stories about how when people have control over the technology it doesn't solve all of their problems. But it makes a lot of the things that we think of as immutable to the human condition a lot simpler. "If you want to write speculative fiction that is both salient and perennial, just write stories in which the underlying reality of technology doesn't change, lawmakers continue to fail to come to grips with it, and the consequences of that failure become more dire with every passing day. Little Brother, which is now 12 years old, will continue to be salient and a good allegory for what's going on today... because we continue to make choices about unbelievably stupid technology that we could avoid." 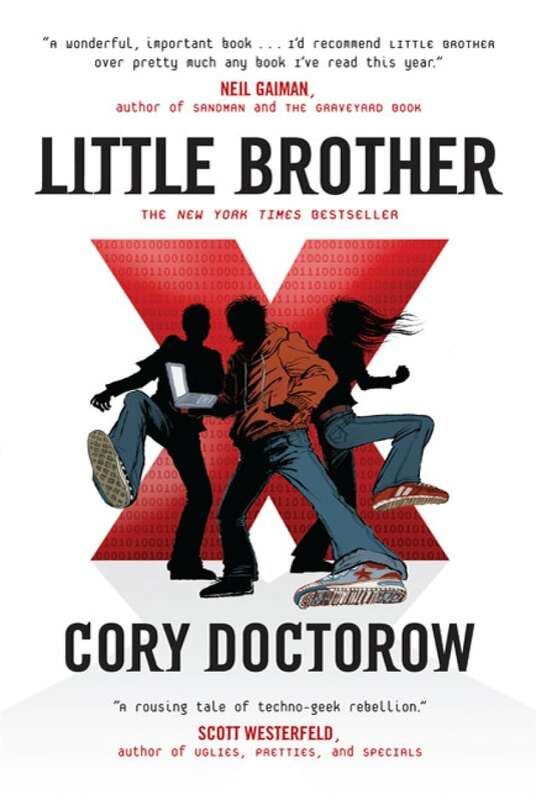 Cory Doctorow's comments have been edited for length and clarity.